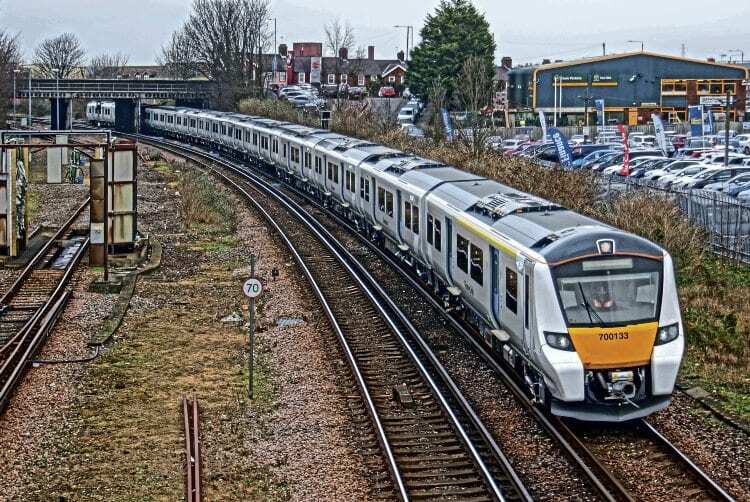 AN IN-DEPTH report by the National Audit Office (NAO) into the Thameslink, Southern and Great Northern (TSGN) rail franchise has revealed it has not delivered value for money as a result of high levels of passenger disruption. The report also concludes that between September 2014 and September 2017 passengers using the franchise have experienced the worst service performance on the national rail network, with around 146,000 services (7.7% of those planned) having either been cancelled or been delayed by more than 30 minutes compared to 2.8% on the rest of the network. Around 56,000 cancellations (38% of the total) were related to the availability of drivers and other train crew, a figure based on data produced by Network Rail and Govia Thameslink (GTR) in respect of services cancelled. Other key causes of delays and cancellations (37%) include the reliability of some train fleets, Network Rail’s management of the rail network, and failures of track and other infrastructure. The net result is passengers have been badly let down by the DfT’s franchising process, having created a large and difficult-to-manage operation. The NAO says while the DfT accepted Govia Thameslink’s ‘driver-only operation’ plan the department did not fully evaluate the possible effects on passengers of different scenarios relating to industrial action before awarding the contract, nor did it ask Govia Thameslink to do so. Read more in the February 2018 issue of The RM – on sale February 7!